Spielberg’s Holocaust film released in 1993. Where his other ‘93 production, Jurassic Park visibly looks part of its decade, Schindler’s List is the rare film with no visible links to any time. 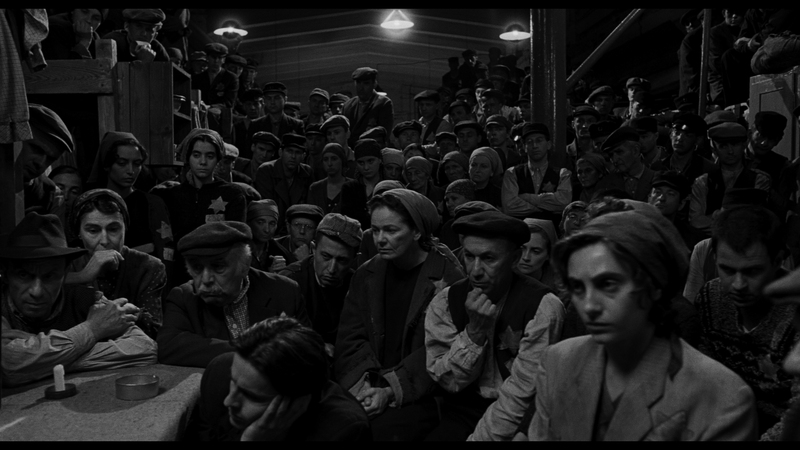 Schindler’s List appears as if shot yesterday or as it happened. There’s an unnerving authenticity as a result. Pairing with cinematographer Janusz Kaminski for the first time (of many), Spielberg’s depiction of absolute cruelty carefully avoids dramatic manipulation. Germans cackle while Jews suffer. Blood pours from point blank execution wounds. Yet the camera doesn’t linger; it whips upward to the next potential victim, establishing fear that won’t subside. Murder occurs with an astonishing rate, enough to keep every scene trapped by panic. If a Jew is on camera, it’s not unlikely to see them perish. The casualness with which Nazis kill their Jewish prisoners, the unsympathetic way they take children from mothers, seeing Jews led to the furnace under the ashes of their own, or the unfathomable panic as a crowd of Jewish women stand hopeless expecting their death. Those images never dissipate in their power. Being a forced participant is unfathomable to the mind. Oskar Schindler (Liam Neeson) saved 1200 Jews from a Nazi death camp. For that, he’s a hero to the cause, a person who witnessed unimaginable human atrocity and brushed aside his opportunistic, capitalist venture to do right. If only more concocted a similar scheme. If only Schindler acted sooner. 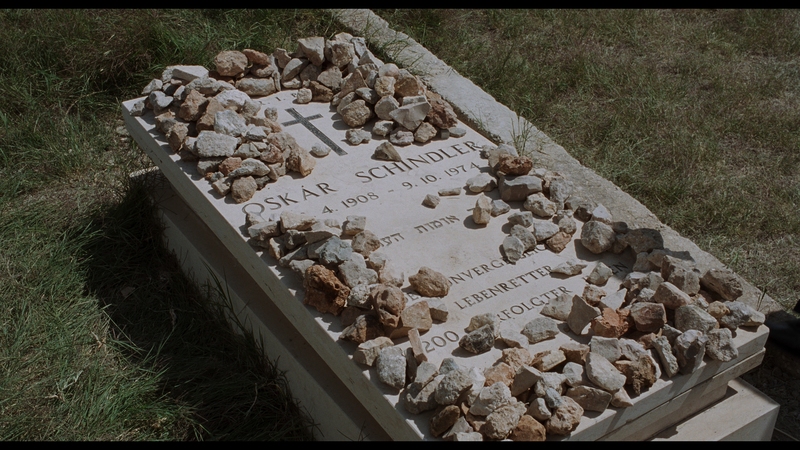 In the closing moments, Schindler breaks down. He regrets owning a car. That was worth four people. His ring, that was another. Established as a hard drinker with a shrewd business sense, that final scene with Neeson resonates. It’s crucial to see him mourn. His regret is felt. Schindler’s List is too great a story to pinpoint one individual, but the purpose of narrowing everything to Schindler is multi-faceted. One person versus a German regime – empowering. The ability of raw, exploitative capitalists to change – necessary. How emotion and empathy define humanity’s best – inspiring. At one stage, a Jewish prisoner discusses the nature of the wall keeping them imprisoned, away from their normal lives. It’s an element of evil to her. Later, Germans grab kids from a crowd boarding a train. It’s barbarism. 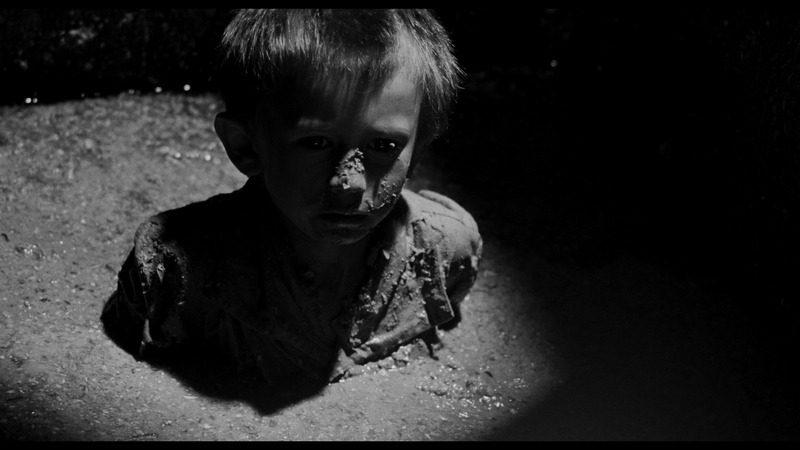 Schindler’s List exists to mourn the actions of malice. Remember hate, as to not repeat it. As a film, Schindler’s List represents the perfect historical drama, more than only its subject matter but as a story of guilt and redemption. As a statement to expose the eventualities of hate, it’s as relevant now as upon release. 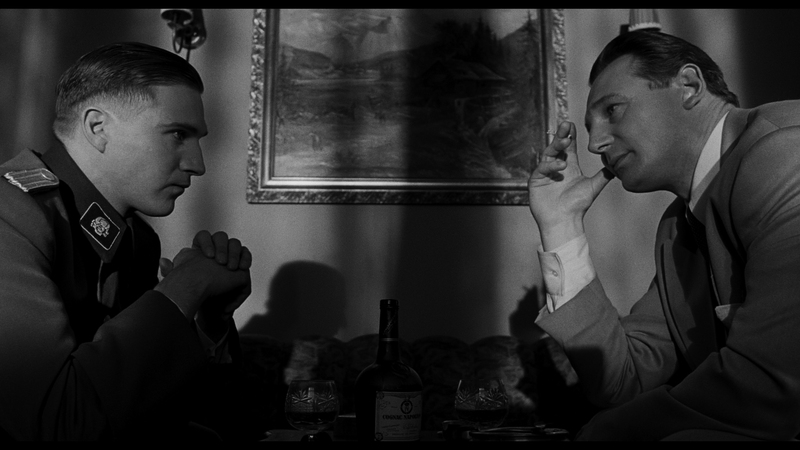 Schindler’s List is not a film that creates want for more detail. A pile of burning bodies, the resolution of their ashes, and wide images of miles long camps inspire little need to see them at higher sharpness. Knowing that, and considering technical attributes only, Universal’s work to give Schindler’s List a true 4K presentation results in a remarkable output. Beautiful grain gives texture to these impeccable images. Facial definition brings out Kaminski’s flawless cinematography. Details like stitching on suits or emblems on uniforms easily resolve at this resolution. Scenes of Jews lined up or sitting in camps display extensive detail, as to pick out actors from afar. Importantly, the encode holds out, working against layers of smoke and drifting light. No artifacts impact the images. 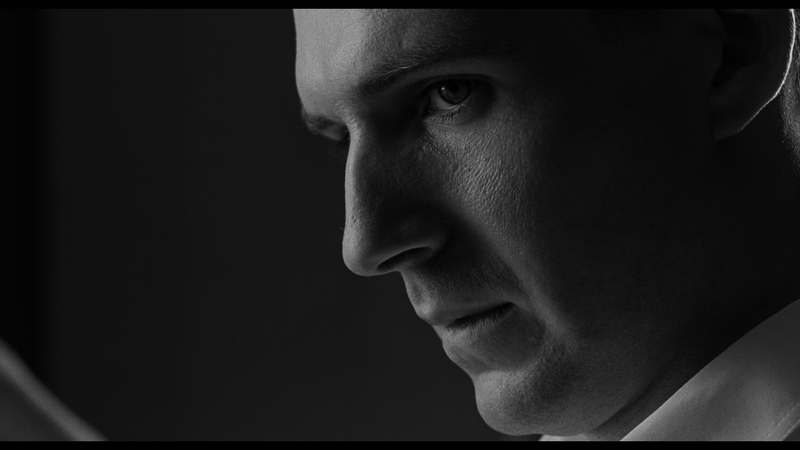 Schindler’s List uses near constant, complex diffused lighting. On any other disc, that’s bound to falter. Not here. A 90GB file size doesn’t hurt. Stark black & white takes on new life here. Dolby Vision extends blacks to their purest levels, and raises the heavy contrast to proper extremes. Absolute gray scale preserves in the contrast battle, rendered to sensational levels. Such a presentation gives hope for deeper, pre-color catalog titles in 4K. The few moments of color (book-end scenes primarily) stick out. Natural and untouched, they deliver excellent primaries and flesh tones. 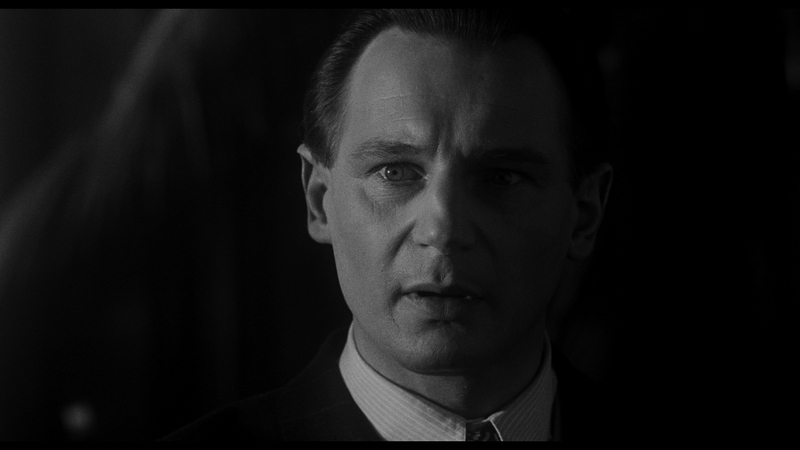 The goal of Schindler’s List audio is that of atmosphere, often uncomfortable with few exceptions. Say, the opening part before the drama stretches across the screen. Ambiance from background vocals and party goers cheering jumps to the rears and stereos. Later, loud speakers blare in the rears, tracking with a shot of Jews forcibly evacuated. Crowd panic surrounds the soundstage. A sewer delivers a commanding echo. Inside Schindler’s factory, machinery clanks along, dropping into the necessary speakers. John Williams’ score softly rises as needed, with sharp, clean highs from the mournful violin. LFE support becomes secondary. Trains push into the low-end with force. Occasional music stings do too. Schindler’s List doesn’t ask for anything else. from the low-end. Universal extends the bonus features from their previous Blu-ray release with an extra bonus disc. From 2018, a screening at Tribeca features Spielberg and his cast discussing the film. It’s fantastic to hear everyone reflect on the work. Voices From the List is an essential 87-minute documentary, involving actual survivors recounting their experiences. It’s more powerful than Schindler’s List as a whole. Three promos for USC’s SHOAH Foundation – an organization founded to keep Holocaust history available to the public – explain their purpose and available materials. One of these is new to this set. Schindler’s List maintains its hold as essential cinema with a prevailing message as to never let these atrocities happen again.